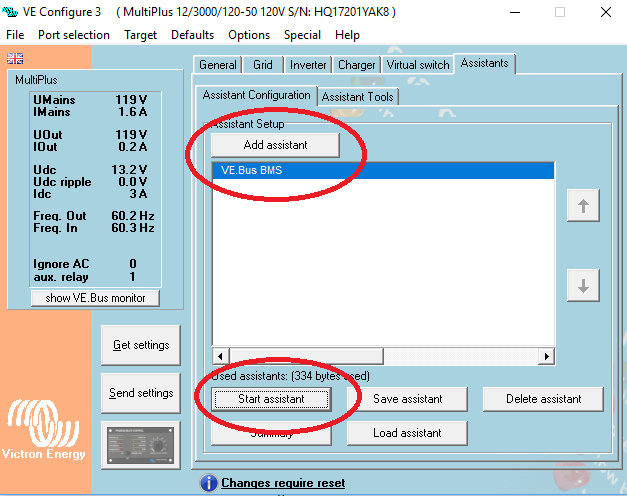 Programming your Victron MultiPlus inverter charger with the VE Configure program - Part 3 - "The Assistants"
The Victron MultiPlus inverter/charger is very programmable. It can be set up for different battery types, it can be set up to work in parallel or in split phase systems, it can also be set up to start a generator or it to run in quiet mode. It is especially programmable for use with Lithium Ion battery systems. 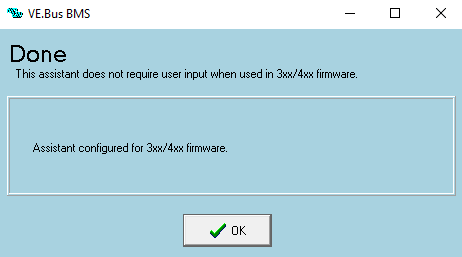 There are various methods of programming, the principal method at the moment is by hooking it up to a computer with the aid of the Mk3USB interface. That requires a PC and a copy of the free VE Configure program which can be downloaded from the Victron Website. The screenshot below shows all the pre-configured Assistants you can load. I dont know what all these Assistants do so I am going to start with the few that I do know and will add to this article as I learn more. Feel free to help me by writing in the Comments section at the end of this article. 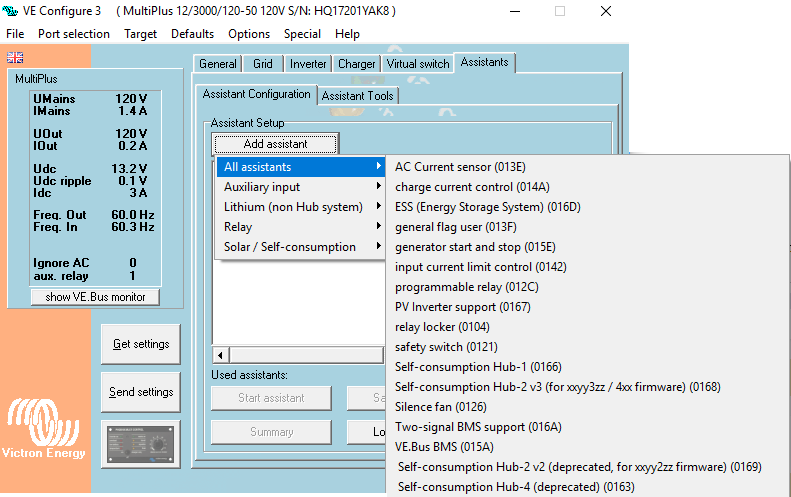 This Assistant is preconfigured for Victron Smart Lithium Batteries. 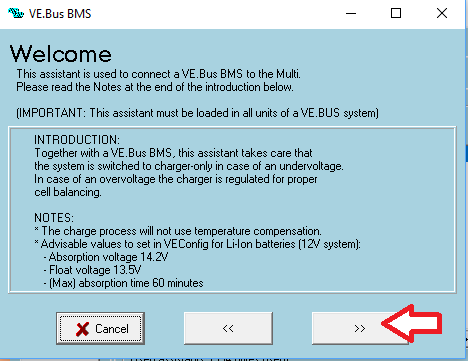 It allows the MultiPlus to be controlled by the BMS (Battery Management System) so that the "Allow to Charge" command from the BMS is necessary for any charging to occur and the "Allow to Discharge" command is necessary from the BMS for any inverting to occur. In each case the signals are given digitally using the VE Bus connection between the MultiPlus and the BMS. You still get to control the MultiPlus yourself with the remote panel or the Color Control GX or even just the switch on the front face, but the BMS has the ultimate decision as to whether anything actually happens or not. To get started I clicked "Add Assistant" as shown above and then selected the one I wanted. Next I clicked on "Start Assistant" and it gave me an explanation of what I was getting. 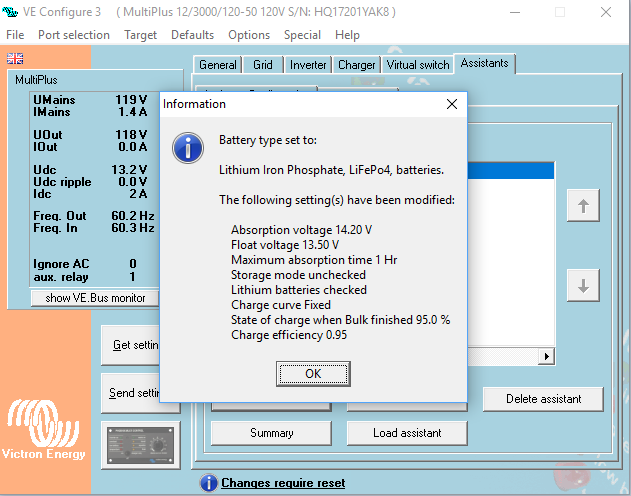 In this first one it offers to adjust all the battery settings ( on the Charger page ) to suit the Victron Lithium Batteries. I said yes so then at the end it gave me a summary of the new settings. Then it says OK and finally in the screenshot below it gives me a summary of what we just did. That is all there is to it. This was a very easy Assistant to add that actually does something very complicated behind the scenes and it was all done with a few clicks of a mouse. Remember when you are all finished to save a copy of your work to your computer to have as a record before you upload it to the MultiPlus. This is the Assistant that we would use if we had a non-Victron Lithium Ion battery with its own BMS. The intention would be the same as in the example above, to have the BMS control when the MultiPlus is allowed to charge and allowed to discharge. This time we dont have the ability to use the VE Bus as the data connection between the two and we have to set this up to work another way. 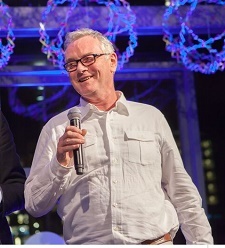 Victron have written up a page on the subject called Connecting other Lithium Systems to Multis and Quattros. Because this is of great interest to a lot of people I am going to deal with it in its own Blog Post. This assistant allows you to regulate the charge current with some external input. This would be more useful for a Quattro which has dual AC inputs. You could for example program it to charge less when on generator power and more when on shore power, you can also have it regulate the charge based on a voltage input. The ESS is a grid tie solar system with battery storage and in the US we are not currently doing this with Victron products. The Assistant is used to prioritize how solar power is used, the idea is to use solar where possible before importing from the grid. The ESS design and installation manual has more details. 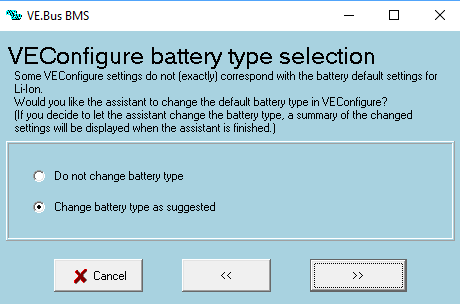 This Assistant is capable of starting and stopping a generator based on battery state and connected load. When setting up the Assistant you get to specify which relay will be starting the generator and whether opening or closing the relay starts the generator. Then you get to define what condition will start the generator, (load, low voltage or low state of charge) and you can set a minimum run time for the generator. Then you get to do a similar proceedure for defining when the generator will be stopped. It all sounds pretty straitforward. This is one I dont understand. This will turn off the AC power output when a switch is activated. For example if you had some machinery and wanted to install a kill switch this would be one way to achieve this. You can connect your switch to one of the Aux inputs and in the setup of the Assistant you get to decide which input to use and whether opening or closing the switch produces the desired result. This assistant needs to be the last one on the list. The assistants run in sequence and if this wasn't the last one in the list some other Assistant might turn the system back on again. This one interests me. 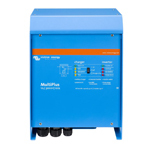 You can set the MultiPlus to be quiet at night time with the addition of an external switch. This of course makes the MultiPlus run hotter and if it gets too hot it will back off its charging or shut off its inverting. When setting the Assistant you can decide if it will work for inverting or charging or both and then you get to select which of the Aux inputs you want to install the switch on. It all sounds very straitforward, easy to program and install and quite useful. These are for advanced users. The programmable relay is one that can be used to accomplish complicated tasks by having multiple instances of the Assistant. The Relay Locker will hold the relay open or closed for a set amount of time and nobody really knows what the General Flag User Assistant does.